Children’s literature is an interesting beast. The bookstore shelves are filled with books hoping and dreaming to be the next Harry Potter. Brightly coloured covers adorn the books, all of them hoping to hook you in with Book 1 so you’ll stick around for the rest of the series. It’s not about reading and enjoying one book – it’s about committment to the franchise. The kids section of the bookstore has always been on my radar, but rarely have I done more than dip my toe into the waters. No more! Here lies the pop culture of the future. What is being published here impacts not only the worlds of movies and television, but it shapes the minds of an entire generation. So what are these underagers reading? Recently I picked up a kids book called Heck: Where The Bad Kids Go, for obvious Pop Culture Christ related reasons. It had me questioning the content and craft of books aimed at teens and pre-teens. 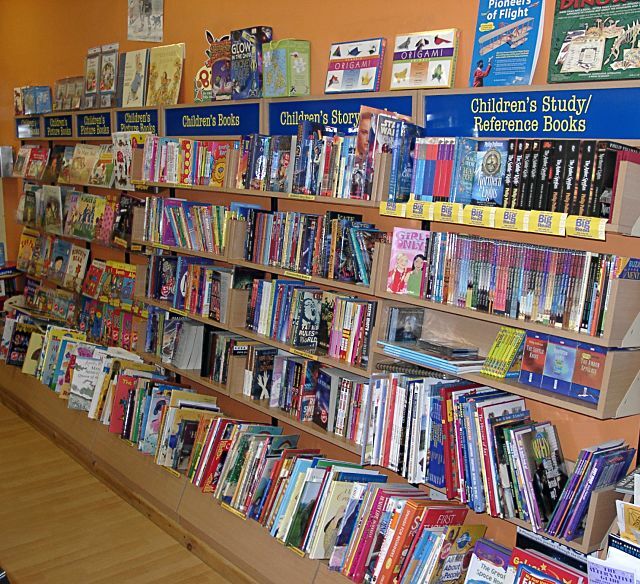 Last Saturday I plunked myself down in the kids section of the local bookstore to study the shelves. Gazing at glittery covers and books about teenage spies. This is a world that I’m keen to explore. Here’s where you can help. If you’re a teen or pre-teen (or you’re a parent of a teen or pre-teen or work with them and can answer on their behalf), what are you reading? What attracts you to a series? What are the most popular books at your school library that always seem to be out? Are there any books or series that are just screaming out for the Pop Culture Christ treatment? It doesn’t have to have religious themes, but if everyone is reading it, I want to know. Speak up in the comments!